A newbie to #MCACBham in 2014, Ella was the recipient of the B-Metro: The Magazine of Metro Birmingham Living Award of Merit. 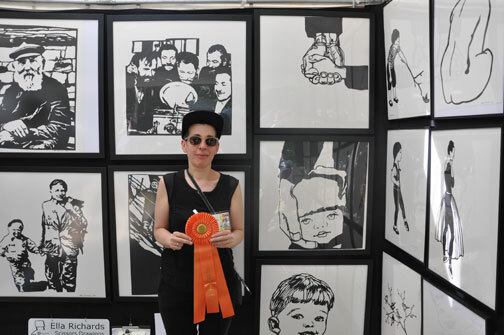 We loved having her wonderful black & white scissor drawings in the show this year. Who knew they were created with paper cutouts? And how does she do it? You’ll be surprised. Watch this video.